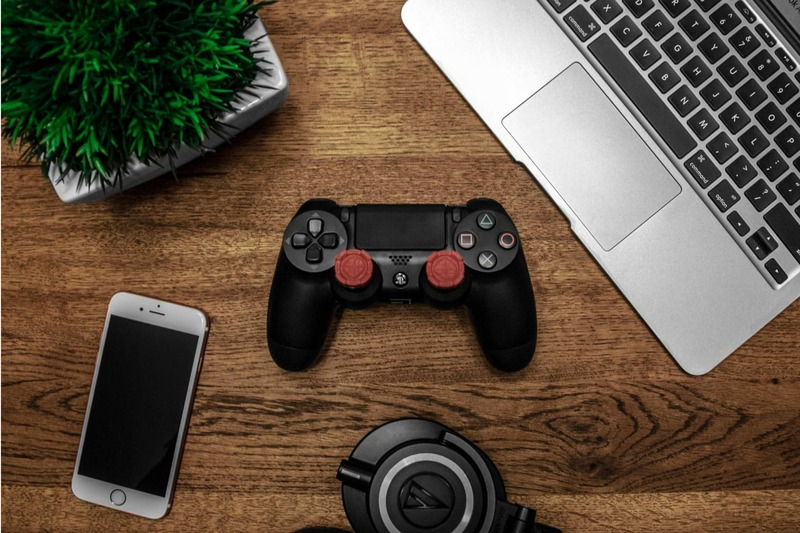 VeChain, the project eyeing supply chain disruption which has already landed multiple partnerships, recently announced a step forward in another feature of their platform: Plair, a project that wants to enhance the gaming experience with blockchain technology, will be the first ICO to launch on VeChainThor’s platform. VeChain brings to the table a powerful combination of professional advice, resources and community backing that is needed as a premium blockchain partner. We are excited to work together to pioneer a way to better serve gaming enthusiasts. Plair will serve the burgeoning gaming marketplace, home to an ardent community, that encompasses eSports, content production, and the nascent cloud gaming niche. Revenue in this entertainment industry is growing at a faster rate and outshines other entertainment niches,. The eSports industry alone is expected to break $1 billion in revenue by 2019. As a result, there has been a surge in services and products like Plair, which is not the first of its kind. Recently, Waves founder Sasha Ivanov revealed in a Q&A that the gaming industry was ideal for blockchain integration, and that the project was in talks with several industry names. Indeed, they have already partnered with two gaming endeavors, MobileGO and RewardMob. Another point to note is the rising interest from several of the larger, established tech companies, like Microsoft and Amazon, in blockchain technology. Amazon owns the world’s most popular gaming-focused streaming site, Twitch, and it is not unreasonable to think that their blockchain interest could eventually merge with the streaming platform. This would grant an already large user base with the same features that many of the up and coming gaming blockchain endeavors are striving to offer. In addition to supporting the eSports industry, Plair will establish a social environment where gamers can watch, interact, play and create gaming content. Their algorithms will estimate how much each member is contributing in the ecosystem, and reward them correspondingly with PLA tokens. The tokens will play a critical part in bridging their gaming lives with their real one, as it will have real world value, allowing them to generate revenue from an activity they enjoy. That could be through sharing reviews, participating in game sessions or producing unique content – activities that already exist but are bogged down by middleman fees, such as in the case of YouTube. A decentralized system makes the activity and revenue an interaction that is entirely between the stakeholders. Furthermore, Plair also plans to facilitate tournaments, events, tours, shows and products – both online and offline. Plair’s vision is to reward gamers for the value they offer others in the gaming social space, so that they can sustain themselves through their gamer lifestyle. This includes the time invested, participation, unique contributions, and various other activities. Similar to how Golem monetizes users’ computing power, how STEEM lets users monetize their content, and how BAT pays users for their attention, Plair lets users earn from their presence and participation in the gaming space. Users are paid for doing something they enjoy, and their reward corresponds to their the value they offer in the community. To distinguish itself from several competitors, in addition to its expected community management and communication tools, Plair will offer in-game wagering and cross-platform AI matchmaking. The latter is of particular note because it is a feature that all participants in this space are developing, knowing that matchmaking in the industry is inconsistent at best and AI has several applications that could better the experience. Plair will release a whitepaper that details the specifics of the project when it enters its development phase. Their ICO has been capped at $30 million and Plair has pledged to raise 80% of their tokens in VET. The ratio of VET to its token, PLA, will be announced on May 25, 2018, which is also when the private sale will begin. Plair was co-founded by Patrick Tang, who has worked for Dell and EMC, and Man Kin Fung, who created and managed the best female eSports team in Hong Kong as well as organized Asia’s largest amateur eSports event, the Asia City League. While blockchain might be turning its attention to the gaming market, there is an even larger theme in construction here: the increasing popularity of platforms where projects and ideas can easily launch their ICOs. Since 2017, when Bitcoin and blockchain became household names, at least with the younger demographic, several individuals and groups have sought to build their own blockchain-based service, either to offer an entirely new service or better an existing one. Projects like Waves, Stratis, Komodo, Dragonchain, and now VeChain have gained in value and prominence because these platforms make it easier for both individuals and businesses to turn ideas into reality. This points to a certifiable increase in mainstream application, with cryptocurrency ideas being facilitated for entry into a commercial space that is all about the end-user. Platform projects allow for distributed ledger technologies to grow beyond enterprise boundaries, a tipping point that will fuel adoption, which is why they are always a good choice for investment opportunities.